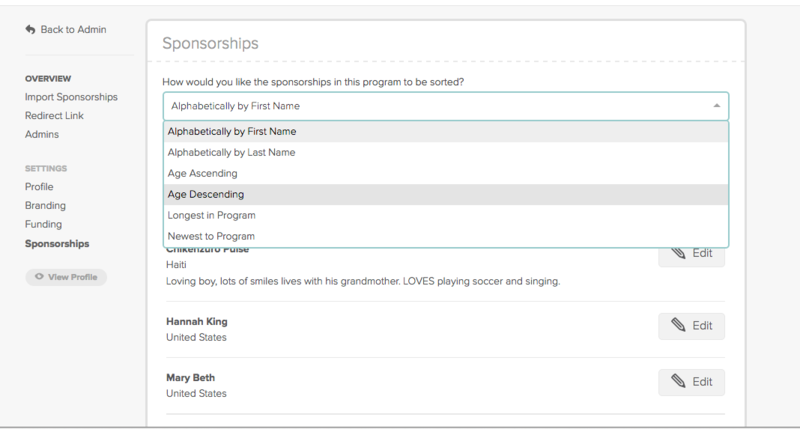 You are able to sort your sponsorship profiles based on alphabetical order, age, or how long they have been in the program. Your profiles will appear in the order you select on the sponsorship dashboard and the live sponsorship program. Follow the steps below in order to sort your sponsorships. 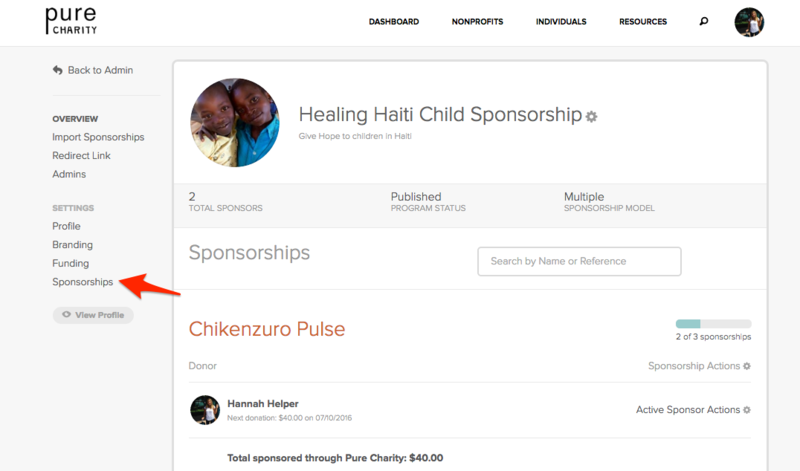 STEP ONE: From your dashboard, click sponsorship on the far left column. Next, find the sponsorship you would like to sort and select the programs name. STEP TWO: Click "Sponsorships" listed under Settings. STEP THREE: On the top of the page, click the scroll down arrow to choose the option that you prefer. Click save changes. Your program in now sorted!